The Post Occupancy Evaluation (POE) is the vehicle Payette uses to obtain this valuable feedback from those who work and learn in the buildings we design, not only when it first becomes occupied, but over the life span of the building as well. We use this information to improve the operation of the building, applying the “lessons learned” on future projects. This is a fundamental piece of our evidence-based design practice. 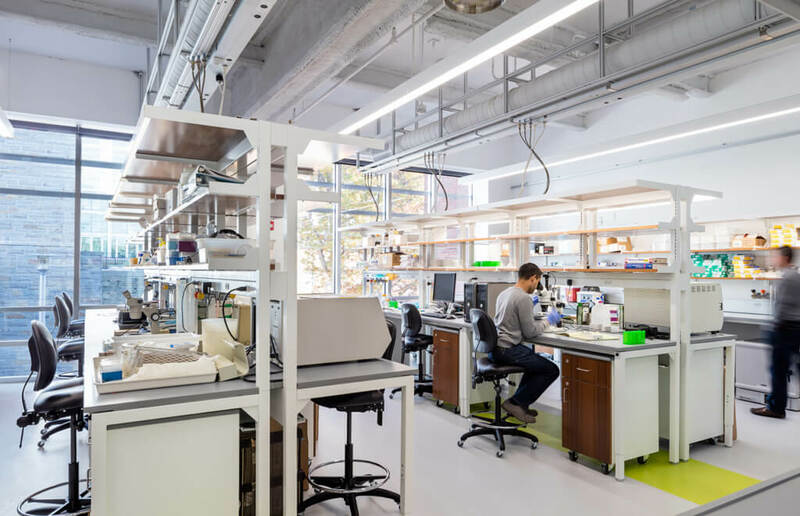 The Kimball Hall Renovation at Cornell University demonstrated the potential of its mid-century teaching labs to meet the next generation of interdisciplinary research needs. 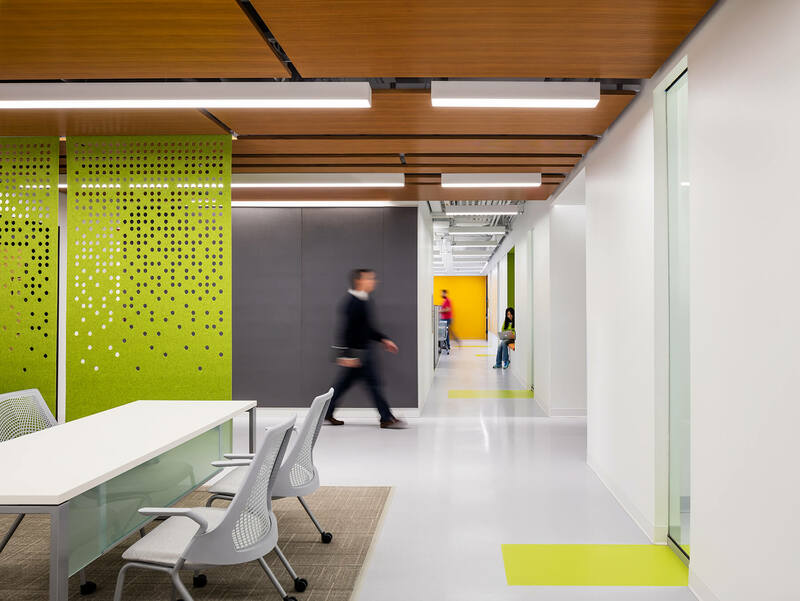 The renovation of Kimball Hall provided an open, flexible suite of visually connected spaces to accommodate a wide range of disciplinary needs. It weaves together layered work areas, distinguished by their levels of energy use. Completed in 2015, we recently conducted a Post Occupancy Evaluation to see if the space was still meeting the needs of today’s occupants. This consisted of a survey which ran for two weeks, as well as in-person interviews with faculty, researches and University administration. Over 80% of the survey respondents are satisfied or very satisfied with the building. Most of the comments focused on the amount of windows and natural light. Additionally, 73% of survey respondents feel that the renovation enhances their work effectiveness, both individually and with others. Generally, users love the labs and office spaces. People from other buildings are ‘jealous’ of Kimball space. The faculty we interviewed really appreciated having their work space and offices near each other. Prior to the renovation, Kimball Hall had been compartmentalized over the years into a series of small, isolated rooms, largely devoid of natural light. Our design intervention brought natural light the spaces which was praised by the occupants as it created an overall sense of community between the users. A takeaway to consider for future projects, if space allows for it, faculty identified more storage space could be beneficial, along with separate conference room and kitchenettes. We learn a great deal from every POE that we conduct. In addition to the valuable feedback about whether the design is working as envisioned, surveys and interviews can also highlight whether the occupants are maximizing the benefits of the building systems and provides an opportunity to make any corrections. We feel that following-up with those who work and learn in the building is one of the most important aspects of our practice, not only when the buildings are first occupied but over the life span of the building.